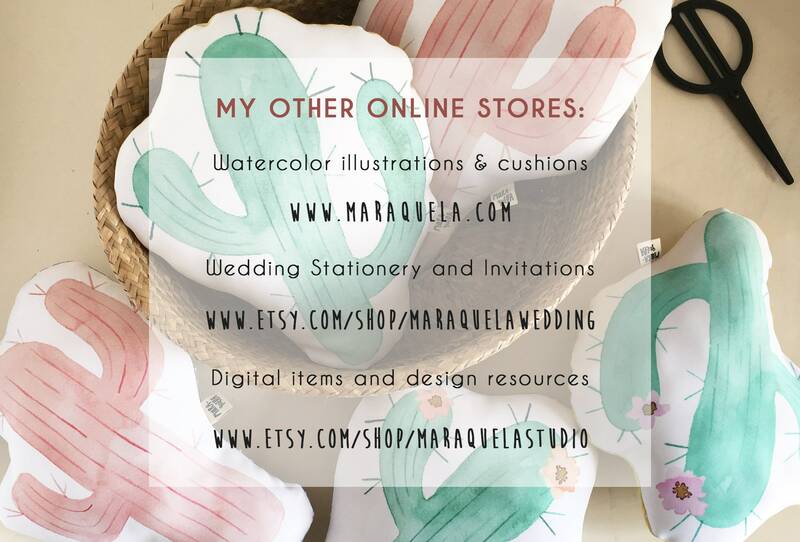 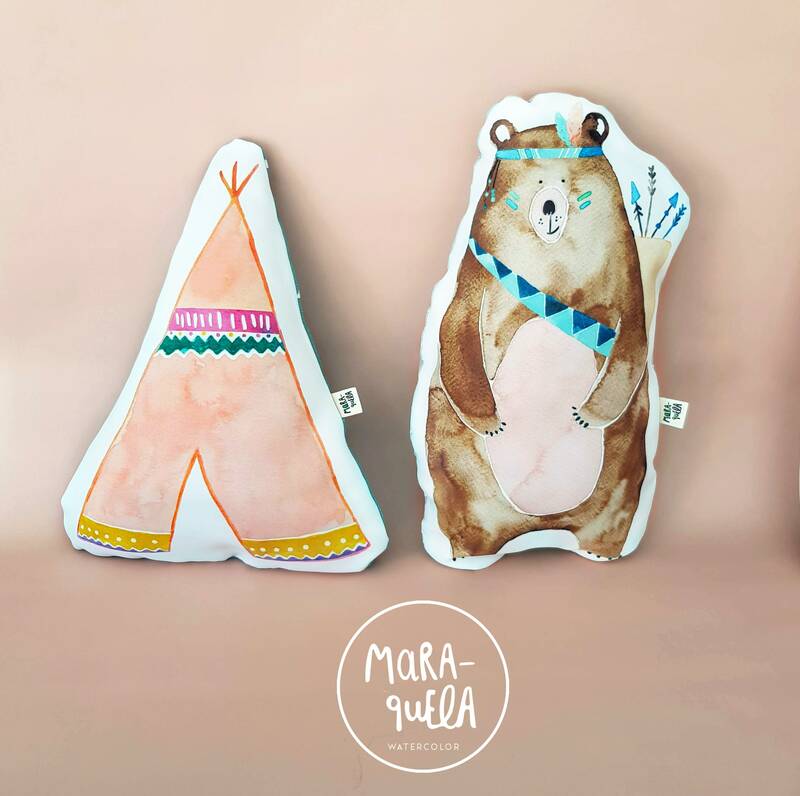 • Cojín decorativo OSO Pardo de la ilustración original en acuarela, en preciosas tonalidades marrón y azul..
• Con parte frontal ilustrada (oso) y la parte posterior con una bonita tela de algodón de diseño geométrico y estilo nórdico gris claro. 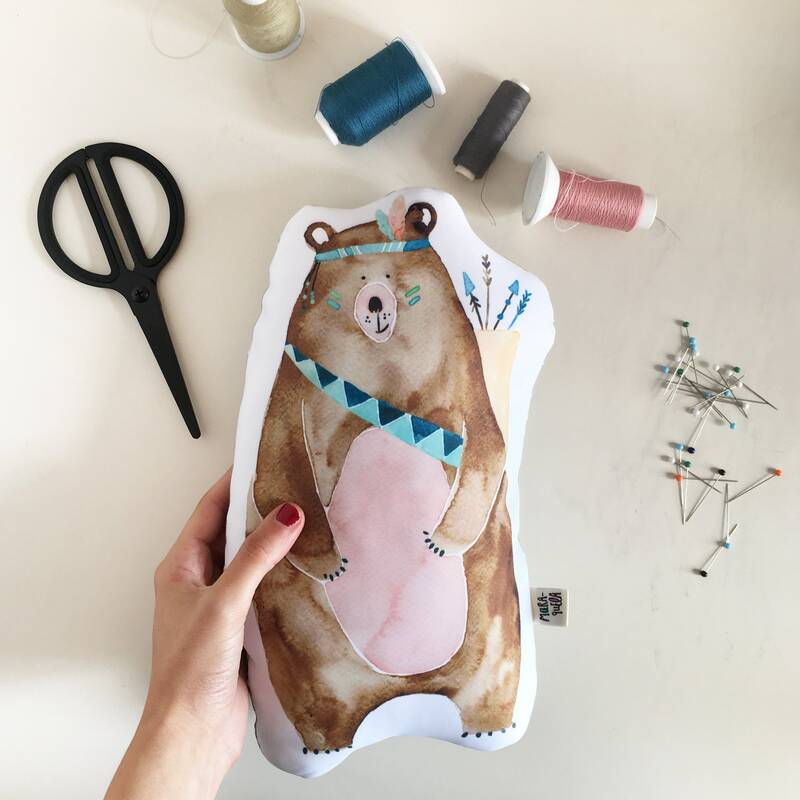 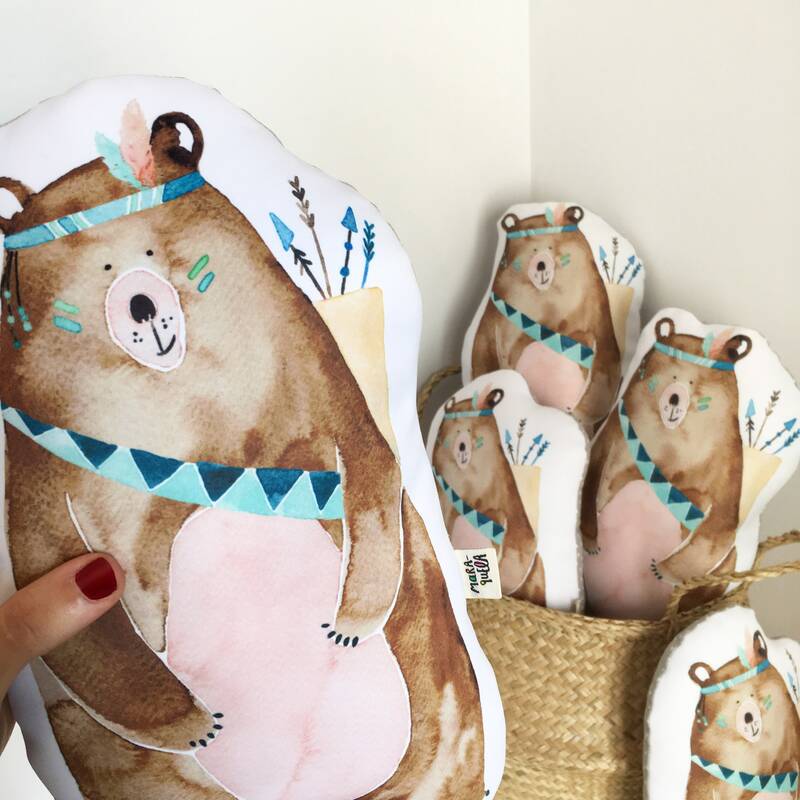 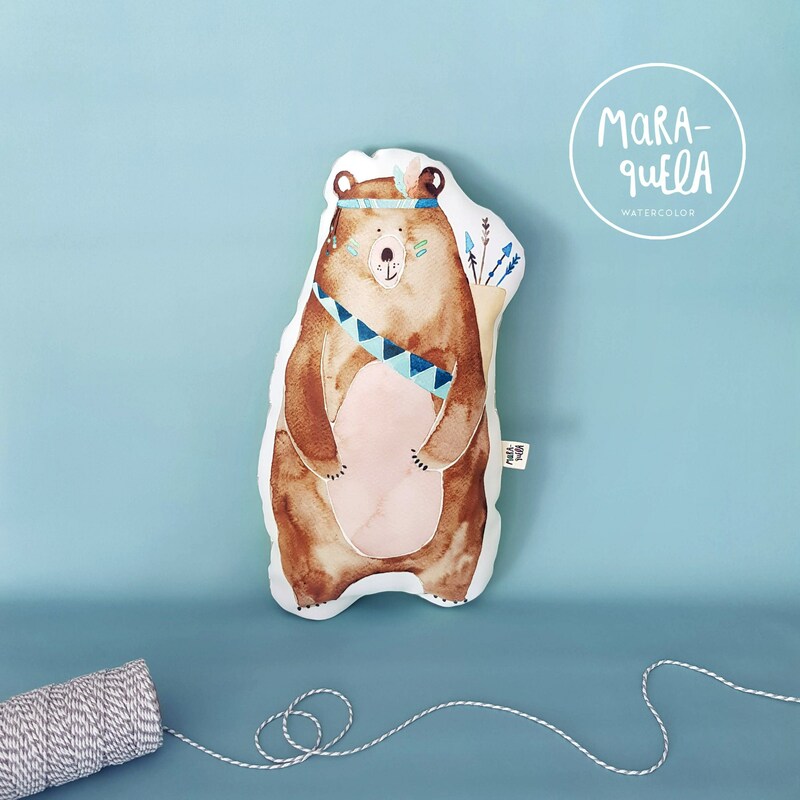 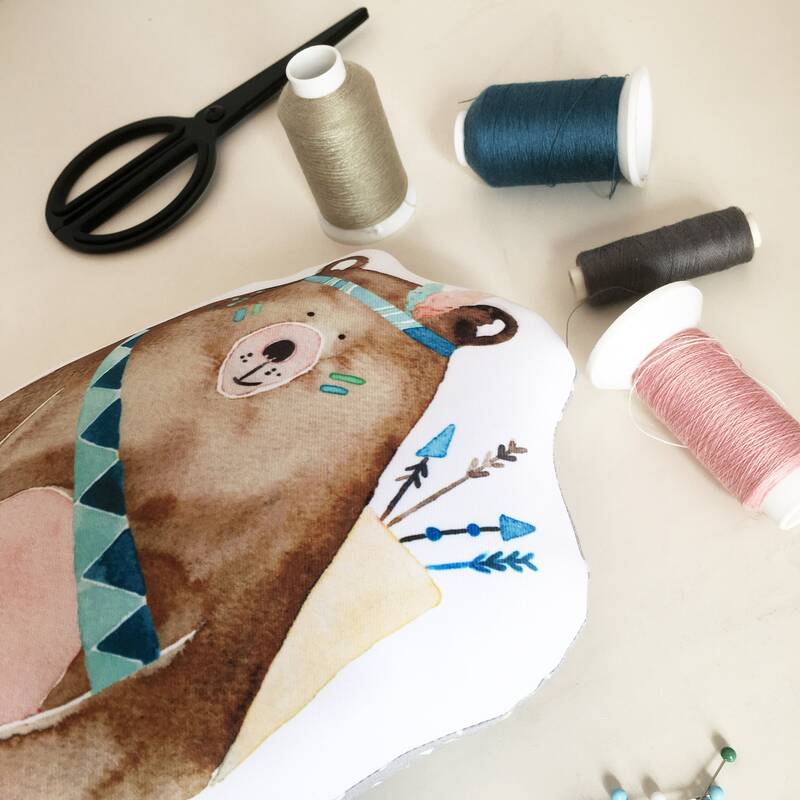 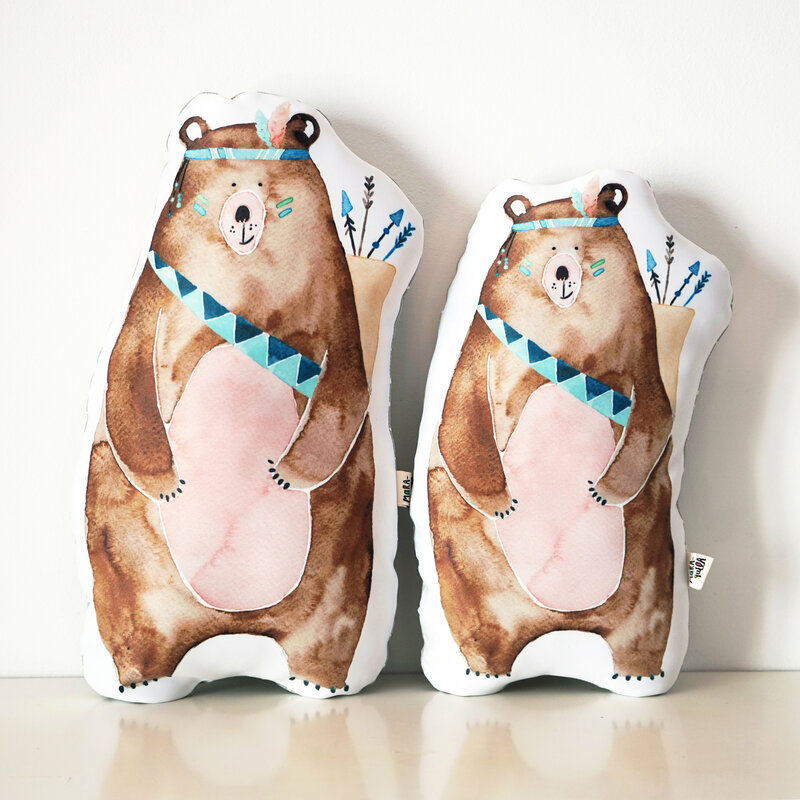 S --> 18 x 32 cm / 7" x 12.6"
M -->21 x 38 cm / 8.3" x 15"
• Grizzly BEAR cushion from the watercolor bear illustration. 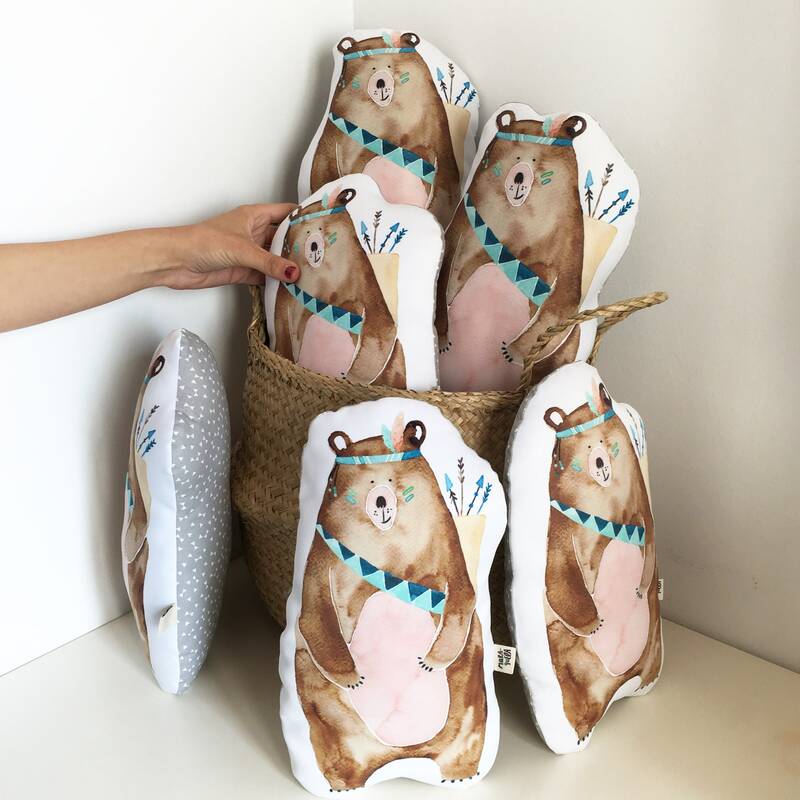 • The Bear cushion is composed of an illustrated front side and a back side of cotton fabric with a nice geometric design in light gray nordic style. 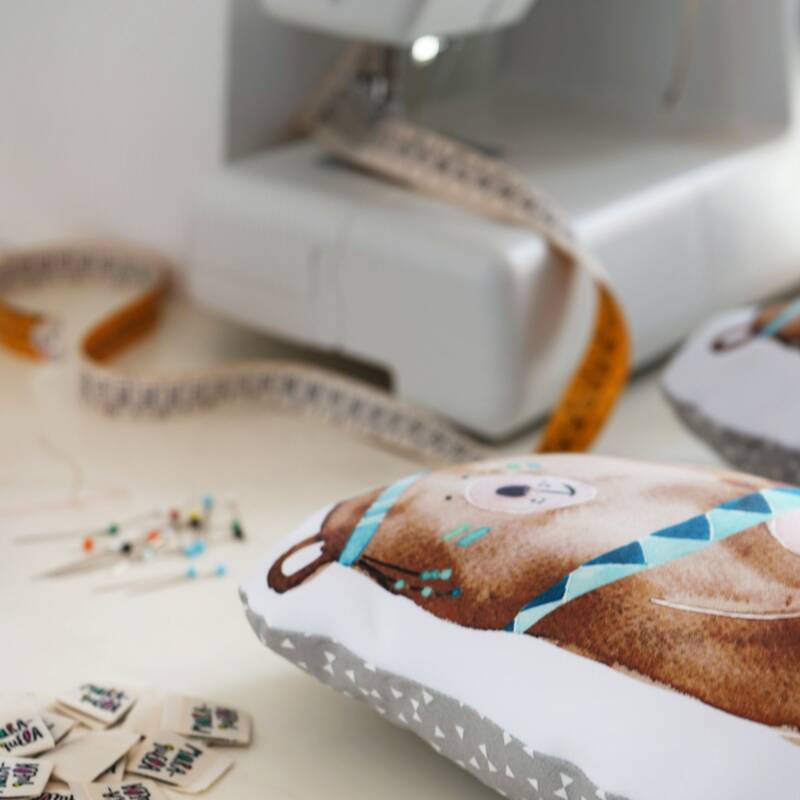 • Beautiful throw pillow in brown colors, for the decoration of newborn, baby and kids and great gift for baby shower, birthday or other special occasion. 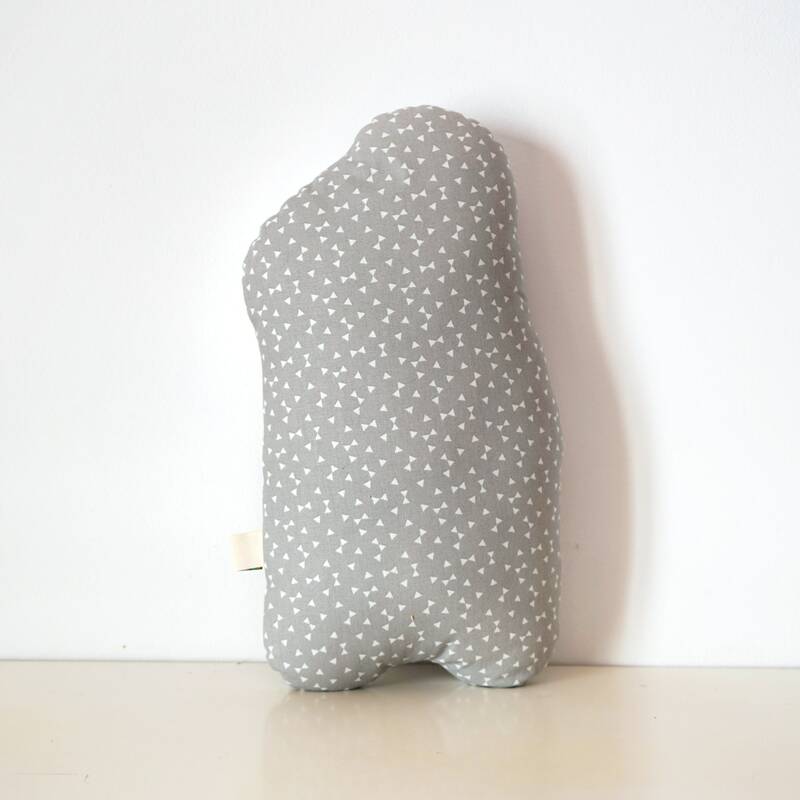 M --> 21 x 38 cm / 8.3" x 15"